This June, over 500 Buckle leaders gathered in our hometown of Kearney, Nebraska for our 2013 Manager Meetings to learn about our upcoming fall fashion trends and to sharpen their leadership skills. Our favorite part of everyone coming together is seeing all the fun ways our Store Managers show off their style! 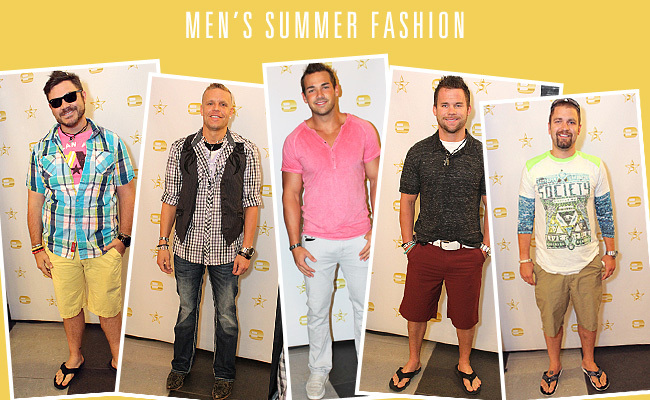 Here are some highlighted summer looks that you can find in one of our 440 stores or on buckle.com. Maxi/hi-low dresses: A versatile style for any occasion that can keep you comfy while still looking classy. Mixed patterns: When it comes to mixing patterns this season, anything goes! Be fearless and creative to make it your own! Camo with hits of rocker: Adding a few rocker elements to your camo is a great way to change up your look. Light denim: Whether you wear denim shorts, jeans, or vests, light shades of denim are a closet staple this summer! Color: Bold neons and bright colors are the perfect way to pop some summer fun into your style! Vests: A light layer to transform any look from casual to classic. Basics: These pieces transition easily into any season, allowing endless possibilities for mix-and-match combinations! Society: With the unique colors, patterns and designs, Society has rightfully grown to be a definite men’s favorite this past year- and it’s only getting bigger! 4 Women’s Looks For Summer!